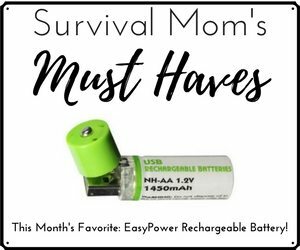 Here on the Survival Mom blog, some of the most popular articles have been real-life stories of survival. 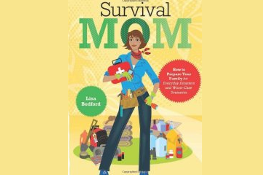 When I wrote my book, Survival Mom: How to Prepare Your Family For Everyday Disasters and Worst Case Scenarios, I included several stories from moms who had survived both natural and personal disasters. 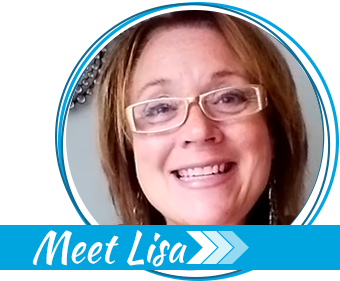 When the reviews started coming in, so many people mentioned how they loved these stories! Who could resist stories like these? Listening to survivors tell about life in a war-torn country, eye-witness accounts of an economic collapse, and surviving weeks without electricity is both instructional and inspirational. After all, if this ordinary human being can survive a worst case scenario, then so can I! 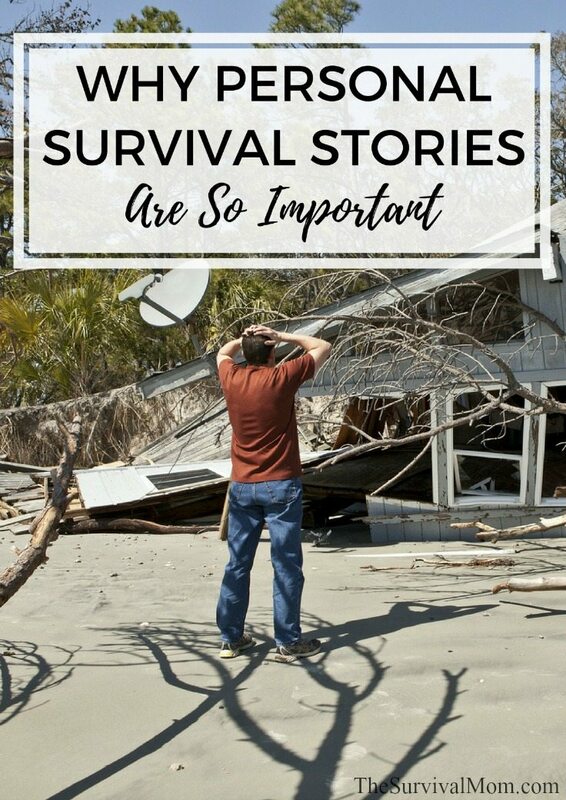 Some of these compelling stories are shared in classes at Preppers University, and they are unforgettable. 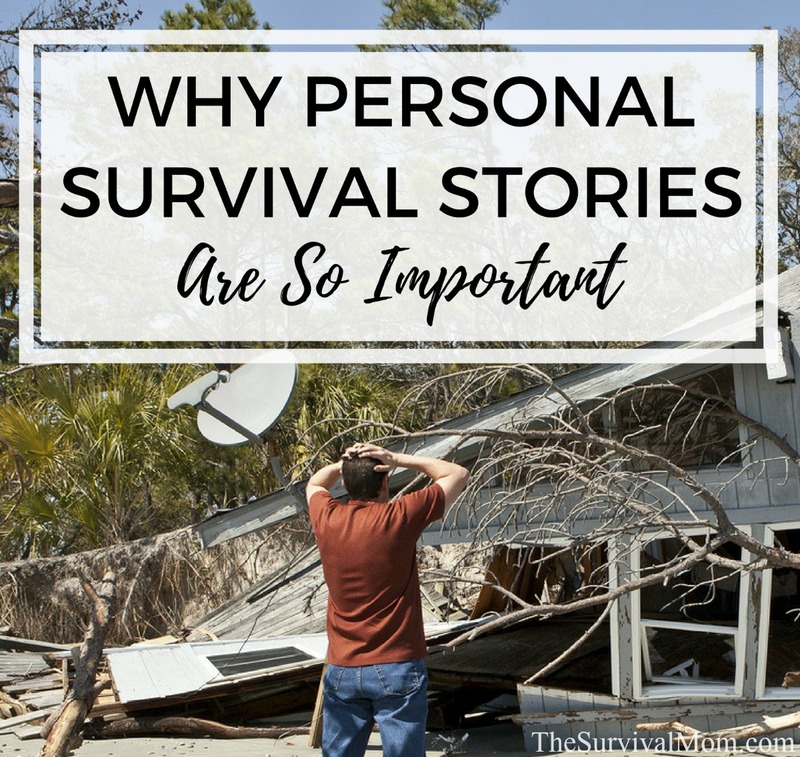 It’s important to know the specific skillsets that made survival possible and the mindset that made the difference between one person surviving while others perished. Survival stories also serve as warnings — What should the survivors have done? What gear would have made survival easier? What mistakes did they make? 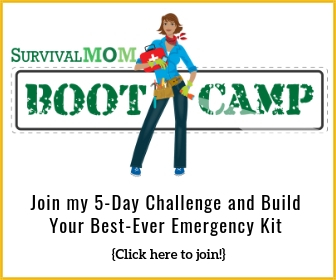 Is the survival education you’ve received truly up to the type of challenge these people experienced? What if you could chat with survivors in real time? When Bosnian war survivor, Selco, speaks. People listen. I’ve had the chance to listen to him speak on 2 occasions, and believe me, when you hear what life was like in Bosnia during the war that spanned 3 years, you will forever be grateful for such common conveniences as running water and toilets. For more than a year, Selco’s community was in constant danger, food supply lines were cut, and the average citizen, people like you and me, did whatever it took to survive just one more day. I asked Selco about skills people needed during war time, and it seems that living by your wits and trusting very few people were key. Sure, knowing how to do a bit of foraging was helpful as was knowing the fine art of bartering to survive, but overall, it was a mental game — a hyper-awareness that the person walking toward you could have you in their crosshairs, just because you are wearing a coat warmer than theirs. Another survivor I’ve come to know is Fernando Aguirre, known to many preppers as FerFAL. Now living in Europe, Fernando lived through some of the worst days of Argentina’s economic collpases. I’ll never forget his telling of families digging through dumpsters for their meals and his learning to never walk out the door without being armed. Fernando and I have chatted about the similarities between America’s economy and that of Argentina, prior to and during its collapse, and I’ve been able to ask for his opinions about a few of my prepper plans. Learning from survivors and experts like Selco and Fernando is something you can do, too, in a Preppers University class. It’s a whole different experience than just reading words in a book or on a computer screen. When Selco talks movingly of his family and neighbors and their struggle for survival, you almost feel as though you are there, and you get a deeper understanding of survival in a world of chaos, violence, and scarcity. 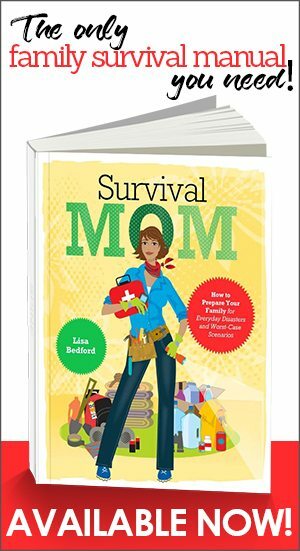 There’s no shortage of prepper and survival books and websites, but when a survivor of a disaster talks and tells his or her personal story, it’s another thing altogether.